These 90⁰ angle brackets are braced for additional support. They come with seven holes for quick and convenient fastening (10/box). 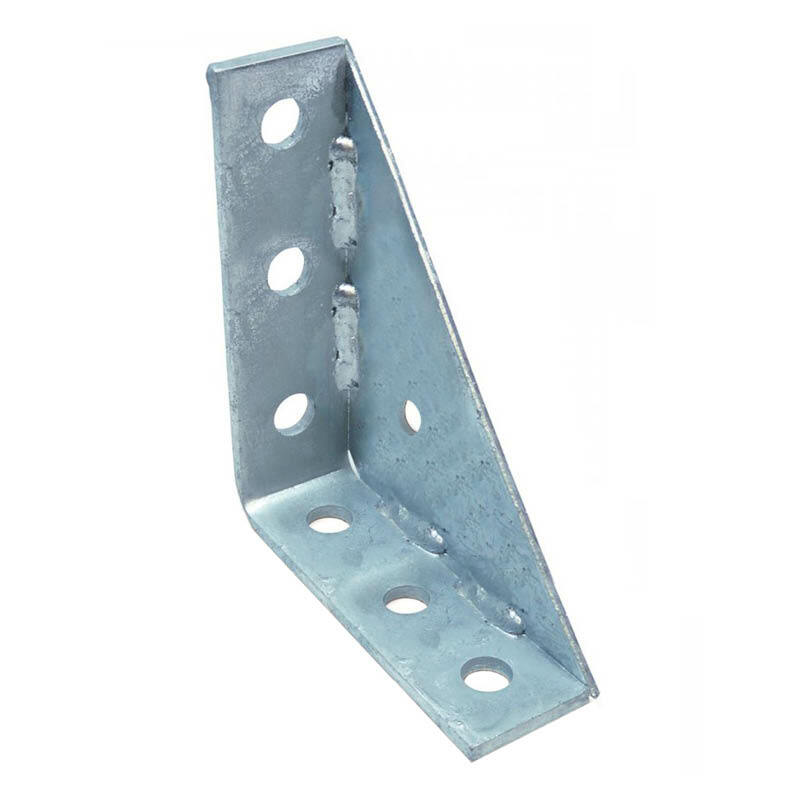 Braced 90⁰ angle brackets are often referred to as gusseted fittings.